Whether Ellen has a claim against council in respect of the guidance received by her? Misrepresentation means an untrue or wrong statement of fact, which is made to persuade the others into getting forward with the contract by the first party. The misrepresentation refers to the untrue statement of material fact made by one person that influences the of others in decision making consent to the contract. If the misrepresentation is exposed, the contract may be held void and, depending on the circumstances, the undesirably influenced people can seek harms. In case of disputed contract, the person that made the misrepresentation becomes the defendant and the aggrieved party is the plaintiff (McKendrick, 2014).In the famous case of Bisset v Wilkinson  AC 177, it was held by the court that reliance has to be made by the aggrieved party on the distorted fact, for the matter of misrepresentation to stand. Similar facts have been established in the case of Horsfall v Thomas  1 H&C 90(Greene, 2013). The negligence may be described as the violation of duty of care that an individual owes to others. It results in the other person getting damaged or injured. In respect of proving that the negligence certainly took place, the injured people requires to state that a duty of care was owed, which was not accomplished and that resulted in the injured party being damaged or harmed. Despite of this, there is the requirement to state that the harm directly caused from the negligence of others, that there was proper foresee ability of such damages arising and finally, the injuries or the harm was not too inaccessible to cancel the probabilities of the claim being awarded (Statsky, 2011). When the claim of negligence is considered as successful, the injured person is awarded damages in respect of the monetary reimbursement for physical harm and even for mental suffering caused. The principle of vicarious liability makes the worker liable for the tortuous act of the workers (Paterson, Paterson & Duke, 2012). In the case of Donoghue v Stevenson  UKHL 100, the injured person was compensated for sickness because of dead snail found in the ginger bottle. It made the person ill. Baltic Shipping v Dillon (1993) 176 CLR 344 saw an injured person being compensated for the mental illness. In the case of Caparo Industries plc v Dickman  2 AC 605, it is stated that in respect of the duty of care to be state three fold test has to be fulfilled. According to three-fold test, there has to be proximity between the people, in which the act of one affects the other; there is a requirement for the threat of damage to be predictable in a practical method and lastly, where the penalties are levied over the inattentive party. It will be deemed as just and fair. In this given case, the Council had been inattentive and it can be made by implementing the threefold test in the case of Caparo Industries plc v Dickman 2 AC 605. In this case, Council and Ellen had been in closeness, where the false details given by the individual at enquires counter could have a major influence over Ellen. It was because Ellen properly asked for the guidance that was not provided to her appropriately, and which ultimately led to her worried sickness. Ellen had asked if there will be any sounds to interrupt the peace. Ellen was not provided the right advice. This untrue advice, in the wake of the scheduled renovation, was properly bound to hurt Ellen that indeed happened. If fines are awarded on Council, it will be fair. On the basis of vicarious liability, for the actions of Council worker, the Council will be responsible (Ostergard, 2014). The Council employee, in order to induce Ellen into getting the studio in that locality, made a false statement of fact, and on which Ellen depended and went ahead with the rental agreement (Giliker, 2010). Though, a case of misrepresentation will still not stand as no contract was made between Council and Ellen, or the Council employee and Ellen that may state that Ellen was induced into a contract. On the other hand, a case of negligence can be made in this matter. The main reason is that it was the obligation of the Council employee to give the right information to her. Ellen was injured in respect of her nervous disorder, her business analysis failing and her rent being due. So on the basis of quoted cases, Ellen may apply for damages regarding the economic loss and mental distress caused. As per the above discussion, it is recommended to Ellen to make a claim of negligence against the Council. It is recommended to apply not only for damages made to her as nervous shock, but also for the lack of earnings due to failed mediation business and the due rent that is not possible to pay. In this way, Ellen is required to go ahead and commence a case of negligence against the Council and demand the compensation for her mental pain, her loss of profits and the due rent. Has there been a breach of contract between land lord and Ellen for the non-payment of rent? When the contract has been made, the terms covered under the contract have to be properly fulfilled. In case one of the contracting parties fails to fulfil the contractual duties, it results in the contract being breached (Clarke and Clarke, 2016). As per this, the injured person may apply for the damages that are normally in respect of the monetary compensation. However, the same can be applied for equitable remedies as well. 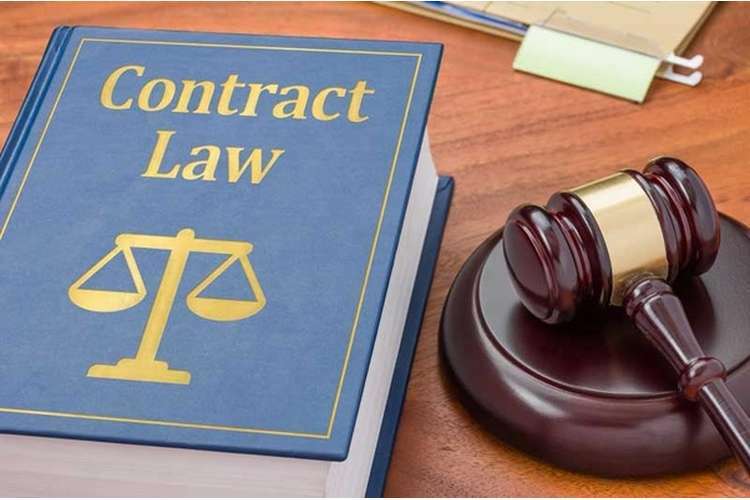 The breach of contract happens in the circumstances, where the promise made under the contract is not fulfilled by one of the contracting parties. When it occurs, the non-breaching party gets the chances of forming a claim against the breaching people for the breach of contract. It permits the injured people to claim damages that may be compensation, or may be in the form of equitable remedy like injunction or the particular performance (Andrews, 2015). In the given case, the matter may be made by the landlord against Ellen for breach of contract as Ellen did not pay the predetermined lease to the owner (Srivastava, Singh and Suri, 2018). Whatever transpired between Ellen and the council member may be blamed on an owner. Ellen had contractual duty to continue with the payment of rent. However, the failure of Ellen in paying the rent due would be deemed as a breach of contract, irrespective of the reasons for this breach. It will permit the owner to conduct a case of breach of contract against Ellen and ask for the lease payment of rent, along with a possible interest for the outstanding amount as damages. Ellen got fail and owner takes a chance against her for breach of contract is established the Caparo Industries plc v Dickman  2 AC 605. In this way, by not making payment of the consideration, Ellen breached the contract. As per the above discussion, it is recommended to Ellen to make the due payments, or Ellen will have to bear extra cost for the breach of contract. Has there been a negligent misstatement by the council employee? Negligent misstatement means the false statement or an inaccurate statement being made by one person to another, that is sincerely but in the careless way (Van Leeuwen, 2016). It is normally made in form of guidance by one party who has proper experience to the others, which does not hold the same knowledge or professional skill. There is the requirement to specify, in respect of the represent the matter of negligent misstatement that there was a factor of fault, the real damage and that attaining remedy is essential to compensate a offender, in its place of opting for punishing the wrong people (Gibson & Fraser, 2014). In the given case, when Ellen made enquiry regarding the chances of the calm environment being troubled (Malinowska, 2017). Ellen was told in the negligent way by the Council officer which Ellen required to relax and that everything will be good. Moreover, this statement was made without paying notice to the matter, in the careless, but true way. To state that a case of negligent misstatement is represent here, the fault element has to be developed. In given case, it may be clearly stated that it was a mistake of the Council officer that officer did not render Ellen the necessary details. Further, the real damage was caused to Ellen. And at the last, it was essential to reimburse Ellen for her situation in given case. As per the above analysis, it can be said that Council workers made negligent misstatement in this regard. So, it is highly recommended to Ellen to form the case of negligent misstatement and implement for remedies, particularly to complete for the losses. 1. Andrews, N. (2015) Contract Law. Journal of contract. UK: Cambridge University Press. 2. Bisset v Wilkinson  AC 177. 3. Clarke, P. and Clarke, J (2016). Contract Law: Commentaries, Cases and Perspectives. South Melbourne: Oxford University Press. 4. Donoghue v Stevenson  UKHL 100. 5. Gibson, A., anr Fraser, D. (2014). Business Law 2014. Melbourne: Pearson Education Australia. 6. Giliker, P. (2010) Vicarious Liability in Tort: A Comparative Perspective. Cambridge: Cambridge University Press. 7. Greene, B. (2013) Course Notes: Tort Law. Oxon: Routledge. 8. Horsfall v Thomas  1 H&C 90.